As you read this article, the CASE office is setting up temporary 'headquarters' in St. Louis, Missouri! This is probably the second biggest week of the CASE office in our scope of work. The busiest week is always the Fall Board of Directors and Annual conference. A close third would be the July Legislative summit. Of course the works leading up to each of these three weeks are very full with preparations and making sure our members know all they need to know as they plan to attend these big events. I guess because I started attending CEC before I ever even knew about CASE, this is a very sentimental time for me. I still remember that very first CEC Convention I attended and it was at Kansas City! I know this CEC Convention is going to be one of the best. There are some great changes going on in the convention and at CEC and I know we are all going to be able to learn and experience so much! It isn't too late for you to head on over, down, up or whatever to St. Louis, I am sure! Remember, if you do come, to be sure and take advantage of all the great CASE activities! Thank you to all of you who did complete the 4 questions for our Representative Assembly reps, Gary Myrah, President Elect, and Emilie Maule, Unit Rep! I know they are glad to have any input from our members on the High Leverage Practices document! Speaking of CEC... We are so proud of the unveiling of the newest addition to the CASE Leadership Series, "Book 4: Effective and Efficient Management of Resources" by Dr. David Bateman and Jenifer Cline. We will even be doing book signings on this newest book from 11:00-12:00 on both Thursday and Friday at the CASE Booth (#810). You don't want to miss this great new book! Another reason is we will announce the election results and the award winners at our annual member meeting! If you miss the convention, be sure you don't miss next week's article as all the announcements and other surprises will be reported right here! You might also want to watch the CASE Facebook page and the CASE Twitter Account. There are some very special CASE events planned for you! Be sure to plan your hotel and arrival so you come in on Tuesday — CASE Member and Board meeting will start with a full breakfast on Wednesday morning sponsored by Winsor Learning! We will have a break sponsored by Houghton Mifflin Harcourt and a highlight of the day is the awards portion sponsored by Master Teacher, On Thursday we will have our showcase session with Julie Weatherly providing 90 Tips in 120 Minutes sponsored by Houghton Mifflin Harcourt. Also, don't forget to purchase your CASE Night tickets for the amazing Grants Farm evening with the Anheuser-Busch world famous Clydesdales sponsored by Star Autism, C8 Sciences and viZzle! The tickets are going fast and there are only 200. Don't be disappointed by not getting your ticket before they sell out! You don't have to pay on line but you do have to register online. Thank you so much! What a great response we got on the poll this last week. You guys did a great job of giving input to CASE Representatives to the Representative Assembly, which will be meeting in St. Louis on Friday! It is so important for CEC and CASE to have your input on the various issues so we can make sure we have thought of all the "but what ifs" of a problem and of the solutions! After traveling to so many of our states and provinces, it is hard to imagine how any law or rule can be applied in such diverse places! Though we pride ourselves in have a broad base on our committees and even our executive committee, we still cannot be the voice of special education administrators without YOUR voice! So, thank you for all of you who sent in your suggestions and comments! Stay Tuned! I can hardly wait to write next week's article ... there will be so much to share — the election results, the unit award winners, the Selznick Award winner, and the Outstanding Administrator winner! And, I am sure we will have other items to share, too so be sure and check back next week and every Monday! We appreciate you reading this as you try to stay informed and connected! If there is anything I can do to help you in this quest, please let me know! Have a great week and spend some time thinking about you and your needs so you can better meet all those other people's needs! So are YOU a member of CEC and CASE? In order to engage in an organization, you have to be a member of that organization! Did you know CEC has three levels of individual membership (Premier - $205; Full - $ 115 ; and Basic - $65; and a specially designed membership for local special education directors? Really the District membership is more like a district professional development package! 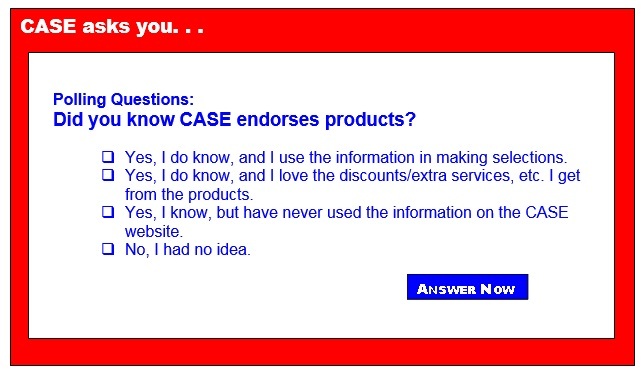 And of course, you then would need to add the CASE division membership at only $65! Though with the Premier it is only an additional $25 and with the District package, it is included! Think of all the many benefits you get from membership in both of these organizations — Connection to great resources and content, professional Journals, the Teaching Exceptional Child magazine, up to date Policy information, Newsletters, Conferences, collegial networking, overall content from the field and so much more! If we are truly the voice of Special Education and Special Education Administrators, we need your voice to be complete! Join CASE/CEC today! The 5th Annual Hybrid DVDs have arrived! Calling all CEC members to check your CEC data! You will be asked to create a user name and password if you do not have one. Please fill in your demographic information as we use this to continually improve our products and services. Also, please gives us the name of your institution and who pays for your membership if you pay by purchase order, or if someone else at your institution submits payments on your behalf. The definition of truancy varies from school to school, but typically students are considered truant when they fail to attend school for either part or all of a school day. When students miss more than 10 percent of the total number of days in a semester they are considered chronically absent. Approximately 5 to 7.5 million students are chronically absent and this problem is more severe among students from low-income families. Existing evidence indicates that truancies peak in the transition from middle school to high school (i.e., around 9th grade) and that racial and ethnic minority groups are more likely to be truant than Caucasian youth. However, females and males tend to skip school at approximately the same rate. Truancy and chronic absenteeism can have a serious impact on student dropout and graduation rates and should be monitored closely in order to intervene before students fall into this pattern of behavior. Support your students with dyslexia and other lanaguage-based learning disabilities with new ONLINE courses from Landmark School Outreach. All courses are developed and taught by veteran Landmark teachers. Register for our April 4 term today! 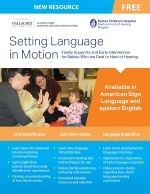 Setting Language in Motion: Family Supports and Early Intervention for Babies who are Deaf or Hard of Hearing is a free, Web-based resource developed as a collaborative effort between the Laurent Clerc National Deaf Education Center and the Deaf and Hard of Hearing Program of Boston Children's Hospital. It is based on the Building Blocks of Intervention webinar series created by the Deaf and Hard of Hearing Program at Children's. CEC's Special Education Legislative Summit dates announced! Girls benefit from extra lessons, but what about boys? Summary: The Assistant Secretary for the Office of Special Education and Rehabilitative Services proposes a priority and requirements under the Technical Assistance on State Data Collection program. The Assistant Secretary may use this priority and these requirements for competitions in fiscal year 2016 and later years. We take this action to focus attention on an identified need to address national, state, and local assessment issues related to students with disabilities, including students with disabilities who are English Learners with disabilities. 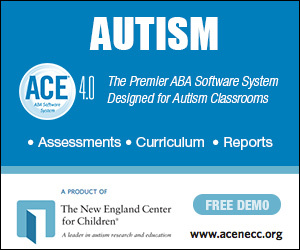 The purpose of the Technical Assistance on State Data Collection program is to improve the capacity of states to meet the Individuals with Disabilities Education Act data collection and reporting requirements. Deadlines: We must receive your comments on or before June 6.
implementing activities that are supported by scientifically based research. Deadlines: Applications Available: March 7. Deadline for Transmittal of Applications: April 21. Deadline for Intergovernmental Review: June 20.
ensure that those personnel have the skills and knowledge — derived from practices that have been determined through research and experience to be successful — that are needed to serve those children. 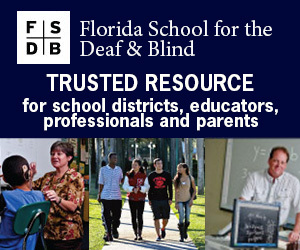 provide accessible educational materials to students with disabilities in a timely manner. Deadlines: Applications Available: March 4, 2016. Deadline for Transmittal of Applications: April 18. Deadline for Intergovernmental Review: June 17.
require that LEAs identify and address the factors contributing to significant disproportionality as part of comprehensive coordinated early intervening services (comprehensive CEIS) and allow such services for children from age 3 through grade 12, with and without disabilities. Deadlines: NPRM Available: March 2. Deadline for Comments: May 16.